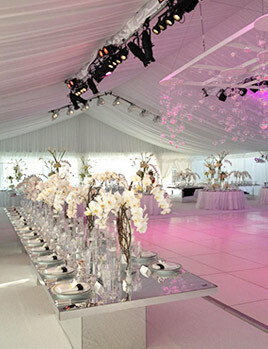 Welcome To Nassau Tent Party Services; Our Long Island based tent rental company has grown in the past few years and we are now able to offer Event Furniture, LED Lighting and LED Dance Floors as well as the standard Parquet, White and Black; Tables in different sizes, different types of Chairs, from the white plastic chairs barstools and ballroom in various styles to suit all your needs. Now offering Kosher Dishware, Stemware, Silverware and Cooking equipment. 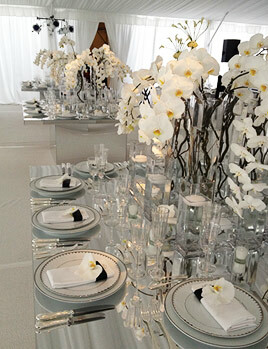 For all your Special Event needs and Party rentals in various styles to fit any special event and occasion. Nassau Tent is a family owned and operated business with three locations across Nassau and Suffolk. 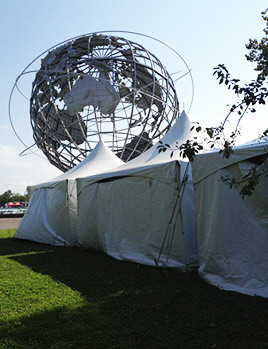 Proudly serving the Metro New York, Long Island, Shelter Island and Fire Island areas; Established in 1960, our company has been a leader in the Tent rentals and Event rental industry for over 50 Years. Upon inception we began manufacturing tents and soon after got involved in the tent rental side of the business and never looked back. In 1969 our company was hired for the Original Woodstock Music Festival. 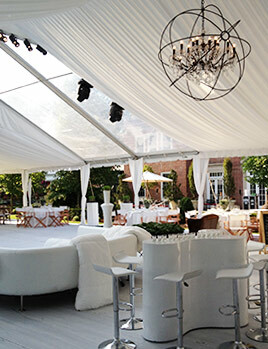 Since then, we have become a top tier tent rental company in the east coast; setting the scene for everything from large corporate gala’s to intimate dinner parties. So call us now: 631-491-5507 to book your next special event.